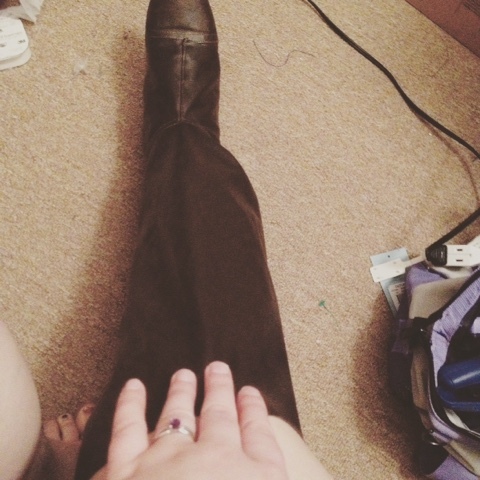 Let's make some boot covers! 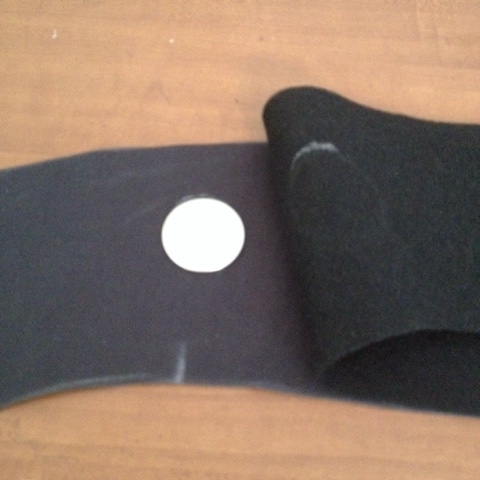 This tutorial is for the boot covers pictured above, but could easily be altered for any boot covers. Now, one of your feet is generally bigger than the other. If you don't know which one is, measure to find out. For me, it's my right foot. 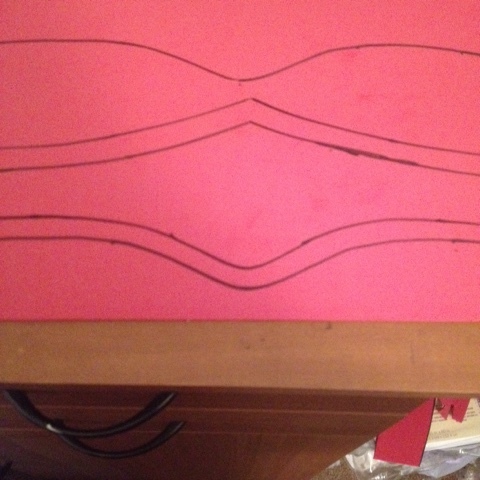 Therefore, I used the right foot/leg for all my patterning. 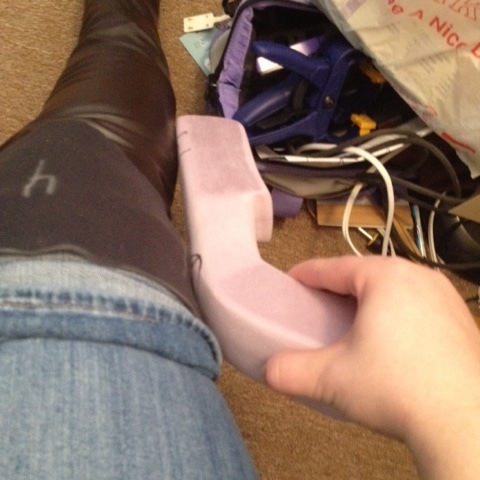 First, put on the boot you plan to wear with the cosplay. Next, wrap your leg in plastic wrap, and cover in duct tape. 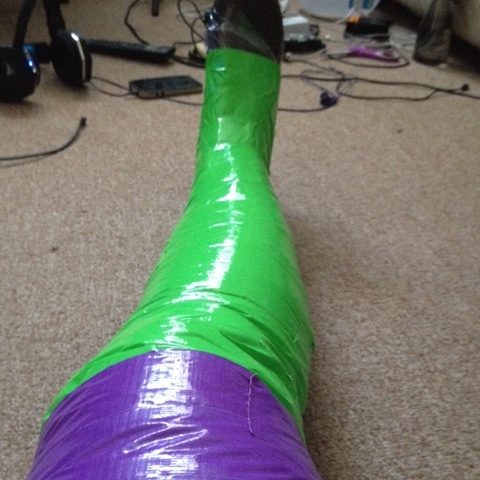 If you don't have help, I recommend doing this in stages (ie wrap boot in plastic, cover in duct tape; wrap shin, etc). 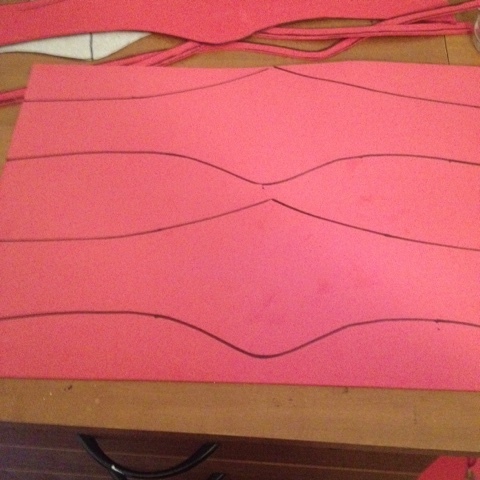 Draw your design on your tape, then cut off using a seam (for me that was straight down the back). 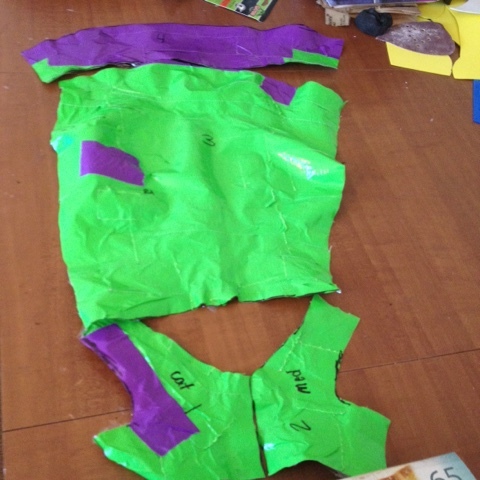 Cut out your pattern. Make sure to label and notch for easier reassembly. 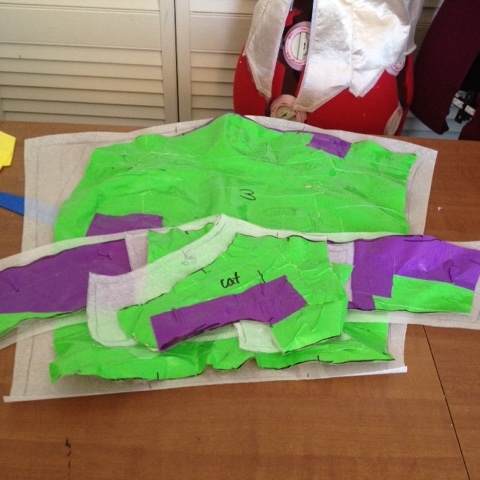 Transfer pattern to wax paper or newspaper, adding in a seam allowance. I used 1/2". 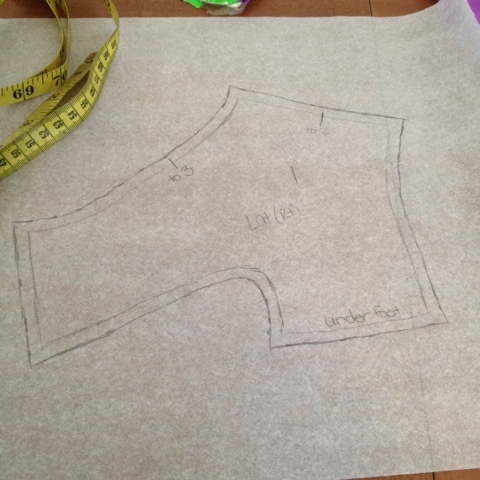 If you are worried about fit, use muslin or spare fabric and create a toile. 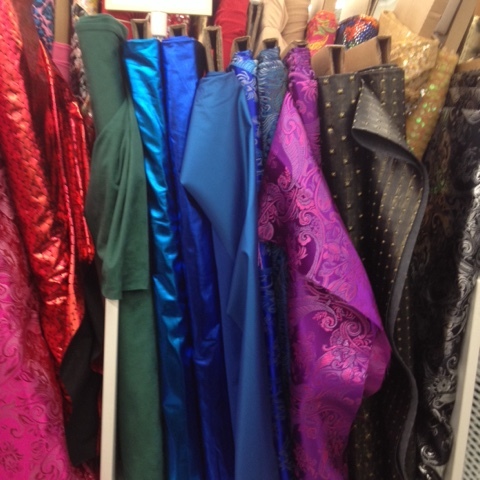 Once happy, cut out of your fabric. 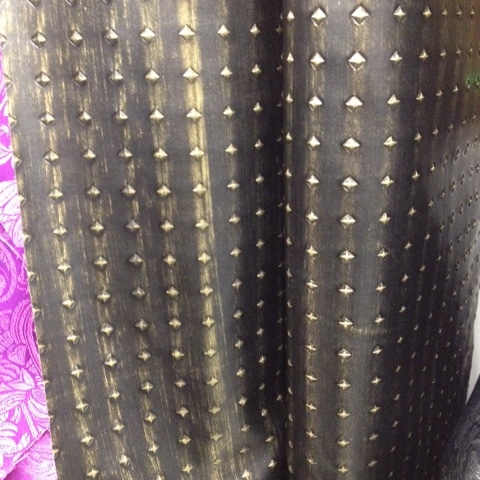 I used brown pleather. 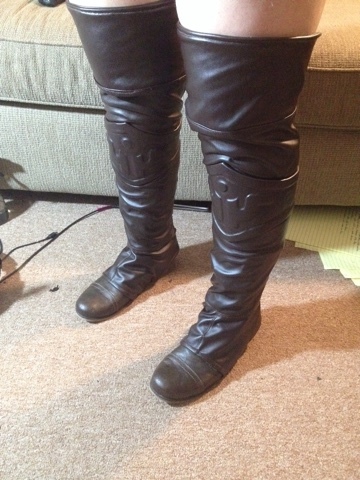 See your boot sides, then add the shin portion. I cut four of my top flap. 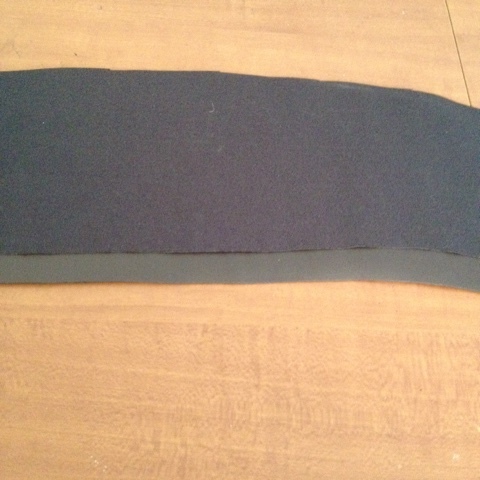 I used fusable fleece (used in purses for strength) on the outer (the part that shows) top piece for stability. I also inserted a magnet for my crossbow. 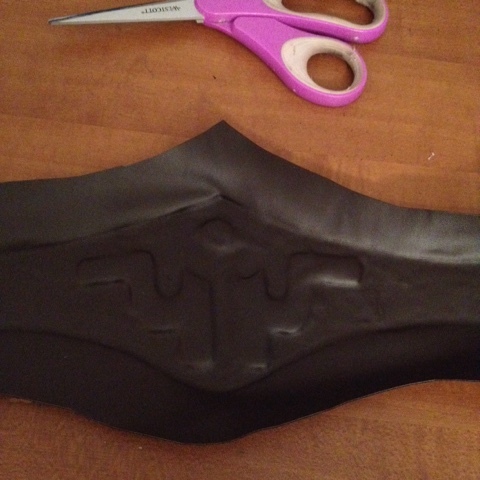 Basically I pinned the flap in place, then held the crossbow to it and marked where the magnet needed to be. 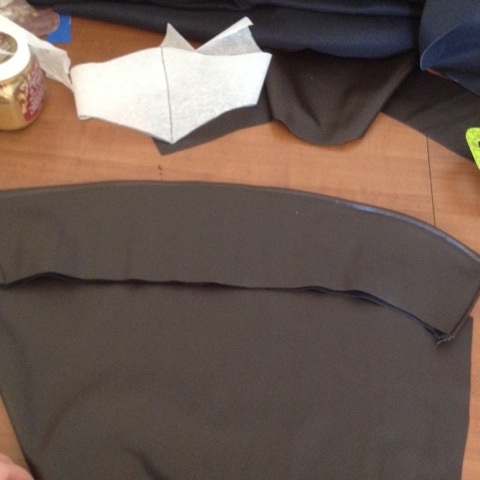 Put two right side together and sew around side and top. Clip corners. 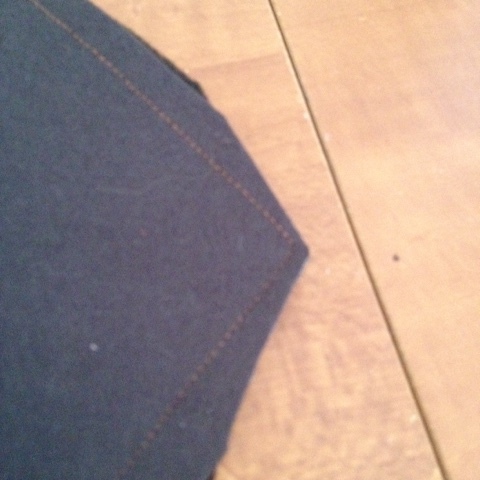 Turn right side out and top stitch around edges. 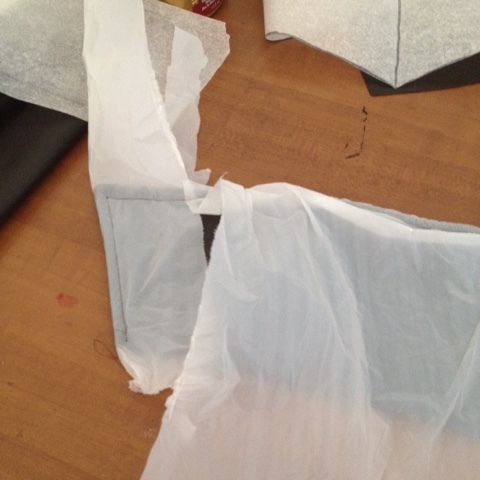 Tip: use plastic bags to ease the fabric through your sewing machine. 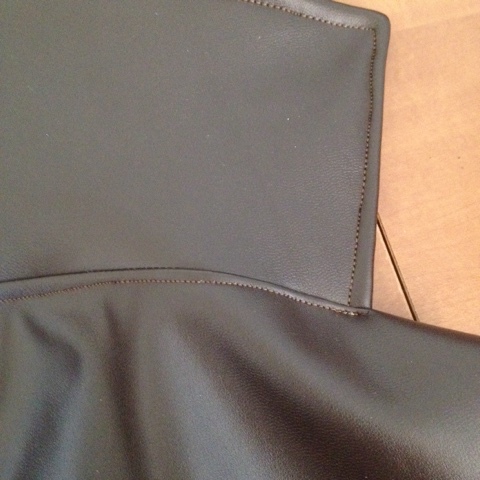 Add flap to boot covers. I put the two fronts together, sewed, then turned the flap right side out and top stitched across to catch the back piece of the flap. 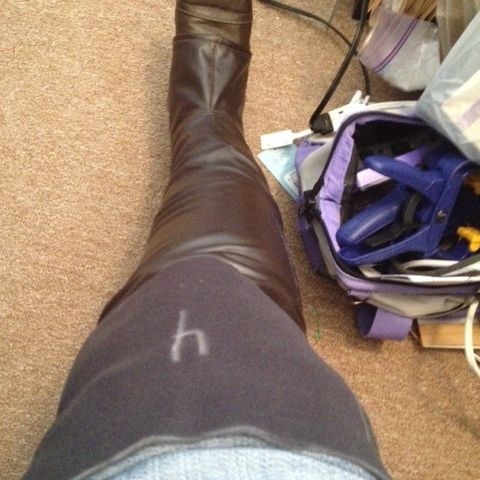 Linkle has a decorative bit near her knee. 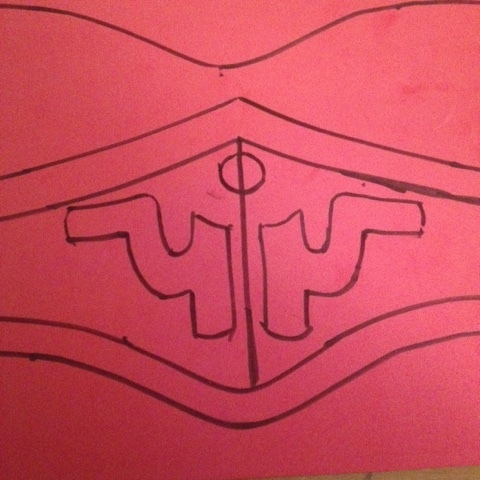 To make this, I traced out a pattern on paper and tested it with the boot cover on. 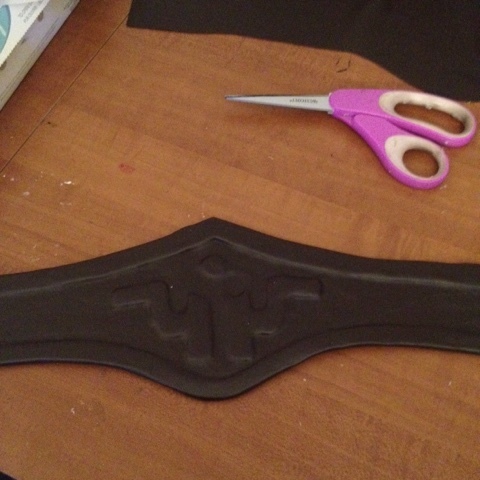 Once I like it, I transferred it to foam and cut it out. 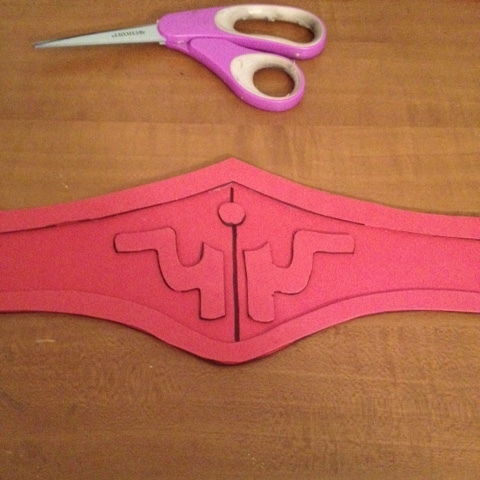 Cut out a piece of fabric about an inch larger than your foam piece. 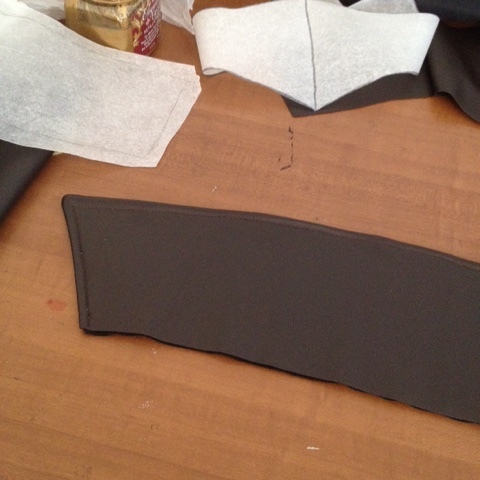 Using hot glue and going slowly, glue fabric to foam, making sure to press all the details. 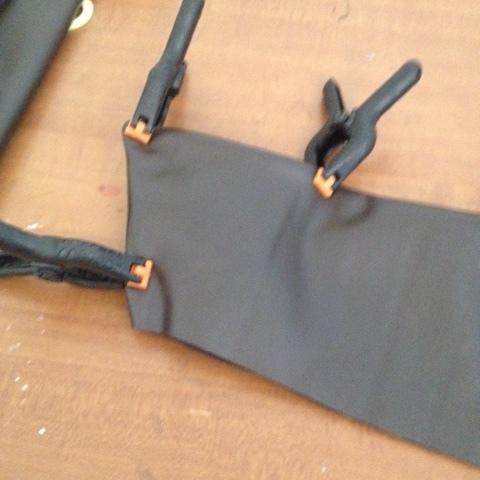 Wrap around and glue down. 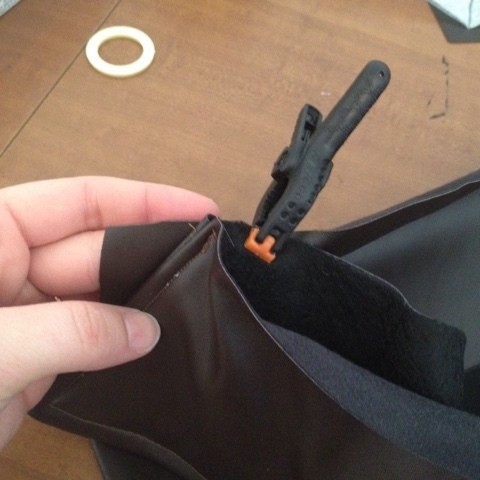 Now clip in place while wearing boot cover. Mark in chalk where it goes, and mark for the second magnet. 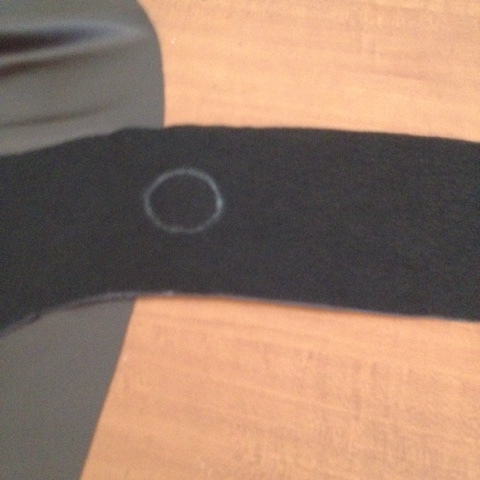 Glue magnet in place on foam. 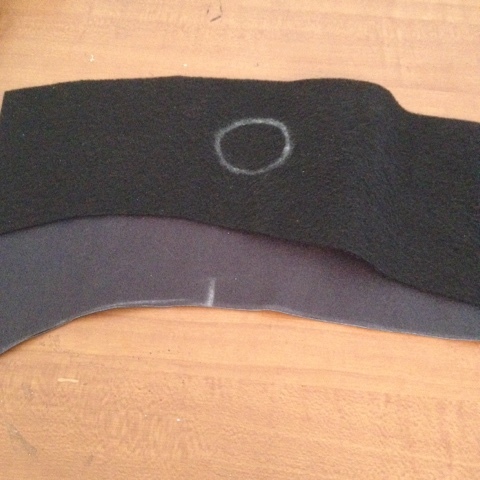 Rough up your fabric (if needed) using sandpaper and glue foam piece to boot cover. 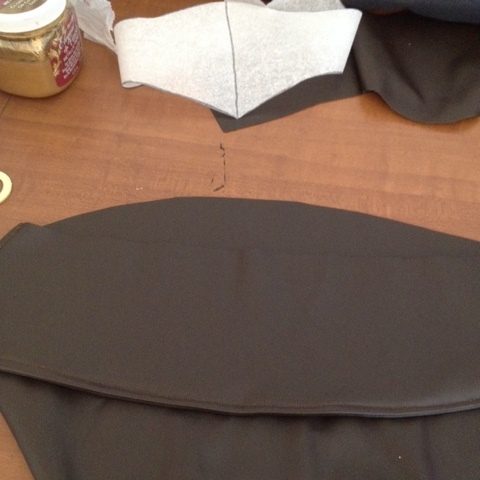 Attach zipper, making sure to sew through the foam piece. 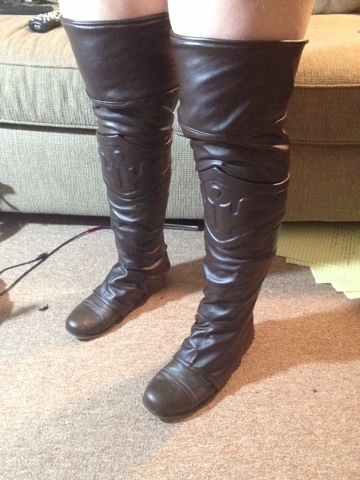 Test fit and adjust as needed.